Are you having trouble with sleep, mood, concentration, or fatigue? If you answered yes to any of these questions, your neurotransmitters could be the culprit! Neurotransmitters are the chemical messengers of the nervous system. These chemical messengers tell your heart to beat and your stomach to digest food but they also affect your mood, sleep, concentration, and energy levels. They can cause unwanted symptoms when they are out of balance due to stress, poor diet, environmental toxins, genetic predisposition, infections, drugs (prescription and recreational), and/or alcohol and caffeine usage. There are two main categories, calming and stimulating, when talking about the different neurotransmitters. The calming neurotransmitters are GABA, serotonin, glycine, and taurine which play important roles in mood and sleep by promoting calmness and relaxation. The stimulatory neurotransmitters are glutamate, norepinephrine, epinephrine, dopamine, histamine, and PEA which are necessary to help regulate the sleep-wake cycle, energy, motivation, and focus. 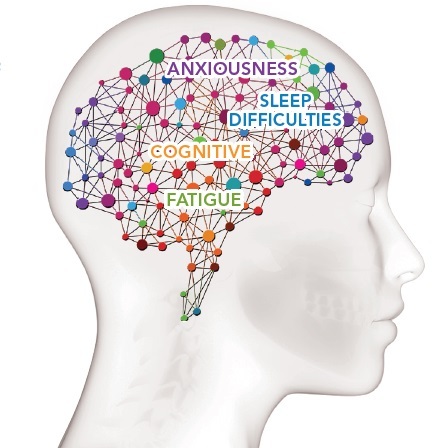 Symptoms can occur when neurotransmitter levels become too high or too low. Your symptoms can be caused by a variety of imbalances in your nervous system. The good news is that neurotransmitter levels can be measured and supported by pharmaceutical grade supplements if needed. Stop and think for a moment about how the food you eat can affect your mood. That’s no coincidence. Your diet contains amino acids which are the building blocks needed to make your neurotransmitters. These amino acids come from different foods such as fish, chicken, dairy, and nuts to name a few. Remember that it’s all about balance so if you’re eating processed junk food and other inflammatory foods you may be the reason your mood is sour. Eating a well-balanced diet and getting at least 30 minutes of exercise 5 times a week can help raise your neurotransmitters levels. Exercise can also help reduce stress which can really do a number on your overall health. Stress can also cause your diet to slip. So take the time to care for yourself by going to a yoga class or going for a walk with your dog; they’ll enjoy it too. Also try to limit the toxins you put in your body such as alcohol and try to avoid pesticides and household cleaners. These toxins can effect neurotransmitter levels by killing brain cells that contain your neurotransmitters. Look for natural alternatives such as essential oils. At Annie’s Apothecary we offer neurotransmitter testing that can help identify your unique imbalances. Looking at your test results and troublesome symptoms, we can provide custom-tailored recommendations specific to your needs. We focus on restoring balance through lifestyle modifications including diet, exercise, and toxin avoidance in addition to recommending supplements to support your imbalances if needed. Come visit one of the pharmacists at Annie’s Apothecary and ask if neurotransmitter testing is right for you!